When was the last time that you felt a really strong emotion? What was that emotion? Gratitude? Joy? Anger? Jealousy? Emotions are a powerful force in our lives. When channeled properly, they can be the fuel that helps push us through to accomplishing what we want. They can also drive us in ways that we aren’t expecting or don’t want. 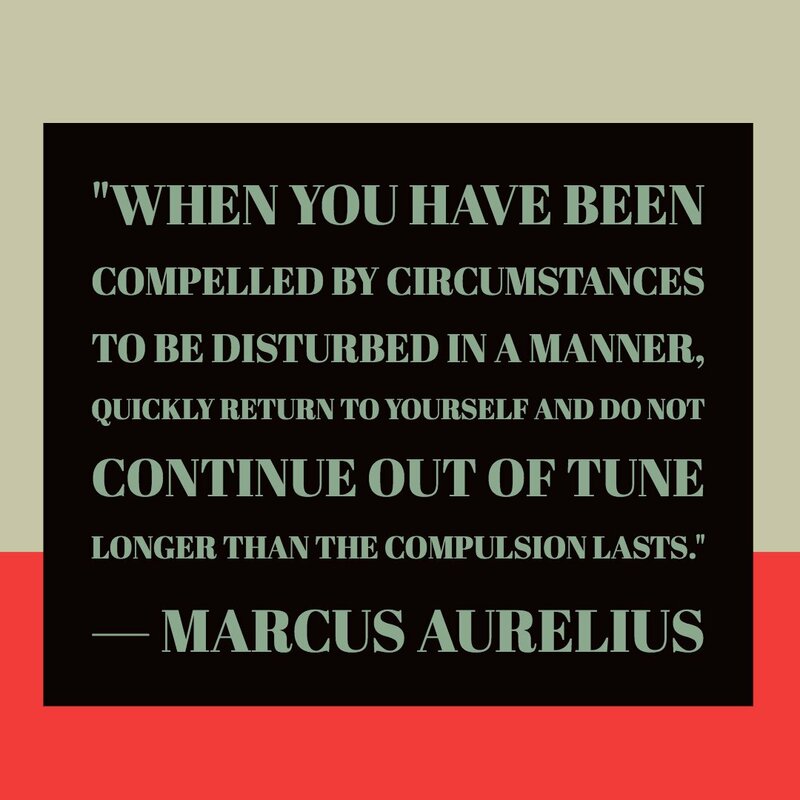 I’ve had several listeners reach out to me asking me to talk about how to manage emotions and how to deal with triggering events, so today I want to talk about using stoic ideas to help with regulating emotions. At times, our emotions can seem very overwhelming for us, and push is in a direction that is not helpful and can be damaging. In my own life, I’ve had times where I’ve let my emotions override my common sense and make choices or say things that I later ended up regretting. I’ve talked on this podcast about how I struggle with keeping my temper in check, and the last few weeks have been a bit of a struggle for me. I’ve been dealing with some insomnia, which tends to leave me with less energy to keep a lid on my anger. And while my lack of sleep is a factor in lowering my attentiveness to my emotional state, my emotions are my responsibility. What really frightens and dismays us is not external events themselves, but the way in which we think about them. It is not things that disturb us, but our interpretation of their significance. Next, we have a thought about what that data means. We begin to make some kind of interpretation or judgment of what we sensed. We may hear someone say something that we think is rude. We may think the smell from the kitchen is enticing. We may think that the car we see is coming at us at us too quickly. Once we have added some meaning to the data that came into our heads, we have created some emotion around it. We may feel offended at the remark. We may be excited about eating whatever someone is cooking in the kitchen. We may be on alert that we’re going to be run over by the car. This cycle of observing, making judgments, and creating emotions continues until we take some action. We might say something back to the person. We may head into the kitchen to see what’s cooking. Maybe we run out of the way of the car. Once we take action, then we start the cycle over again. We observe what has happened, in response to our action, have a thought about that observation, then have some kind of emotion around it, then we take some kind of action. Now that we have our pattern established, what happens in this causes us to lose control of our emotions? It really comes from the judgment stage. How we think about something, and what we think that it means, is what create the emotion. If someone said something trying to offend us, we can decide if we want to let that offend us, and feel that emotion. If we make a judgment that we don’t care about what they said, or that they are misinformed, or that we possibly misheard, then we have a very different feeling about what that person said, and will respond quite differently depending on our interpretation. Because we decide what we want to think about what they said, we are in control about how we feel about it. If we are able to delay making a judgment as long as possible, and just observe events, then we can choose what kind of judgment to attach to something, or to not have an opinion it at all. Now some things, we should have a quick judgment on. If a car is racing towards us, we should get out of the way. But even in this case, making a wise judgment is more helpful, because if you are able to manage your fear, you can make a better decision of where to run. The biggest trigger for anger is expectations. When we think that something should happen a certain way or someone should or shouldn’t behave a certain way, we set ourselves up to be disappointed. Learning how to let go of any expectations or outcomes, especially around things that we have no control over, such as what other people think of us, is one of the key teachings of both stoicism and Buddhism. The more we can learn to let go of things we can’t control, observe them, and make judgments based only on things we observe, the easier it is to manage our emotions, and make better decisions. Most of the triggers for my anger come from my interpretation, my judgments of what I think about what someone else says or thinks of me. 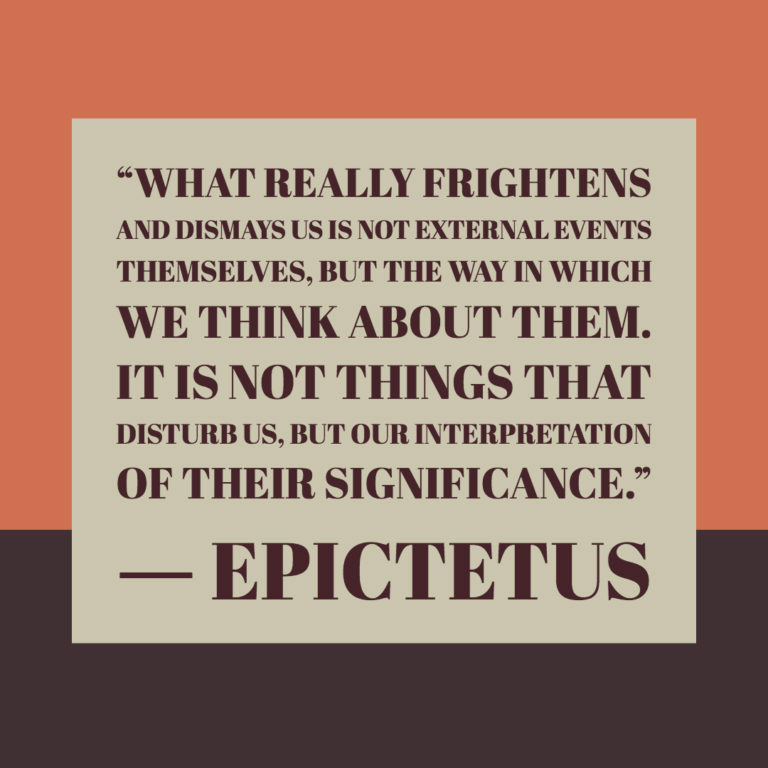 This is why the stoics talk so much about not worrying about the opinions of others. Other peoples opinions are none of my business. They have the right to feel whatever they want. Just like I do. The question I need to ask is, “What do I think it means if they are annoyed at me? What meaning am I attaching to it?” Their opinion of me is not something that I can control, and when I do try to control it, I get frustrated by my powerlessness to be able to control it. One of the best ways that I’ve been able to get this more under control is by using a stoic exercise called Premeditatio Malorum, or to premeditate on evil, basically imagining what could go wrong, so that you are prepared to handle those negative emotions. This is a powerful exercise in learning how to deal with things that trigger you. Let’s say for example that you have a family member or friend that seems to triggers your anger. Sit down and imagine a scenario where you normally would get upset and lose your cool. Imagine what the situation would be like, and feel that emotion. And then make a choice to just sit and feel that emotion. How would it feel to just sit with it? How would it feel to just observe that emotion, and notice how it feels in your body? If you can just sit with it, and let yourself feel that you can recognize that this emotion can’t really harm you in any way. Even after working through this kind of exercise, you’re going to make a judgment about something, and you’ll feel that strong emotion. There is nothing wrong with this. If you do notice this, try to take that step back an observe the emotion. Notice it. Try to see what the thought was behind it. What was the meaning that you attached to it? Once you can start to understand your own thought process, you can start to change what thoughts you have about specific events. Learning to manage your emotions is not something that is easy to do. It’s something that takes constant work and attentiveness. Understanding the thought processes that lead to these emotions and using exercises like Premeditatio Malorum can help you be prepared to deal with those triggers help you manage your emotions rather than letting them control you.